HE MAY be 76, but age has not wearied legendary writer/artist Richard Corben or slowed his input. The first two issues of this eight-issue maxiseries shows he's still the king of horror comics. After several years illustrating Hellboy one-shots and miniseries, and dabbling in adaptations of various Lovecraft and Poe tales, Corben has returned to his E.C. roots with these anthologies of ultra-short "terror tales with a twist". All the stories are fun and don't outstay their welcome - and if you don't like one of them you can always move onto the next story. That said, we're all here for Corben's artwork and he doesn't let us down in this department. His B&W work is as lush and "3D-ish" as ever. 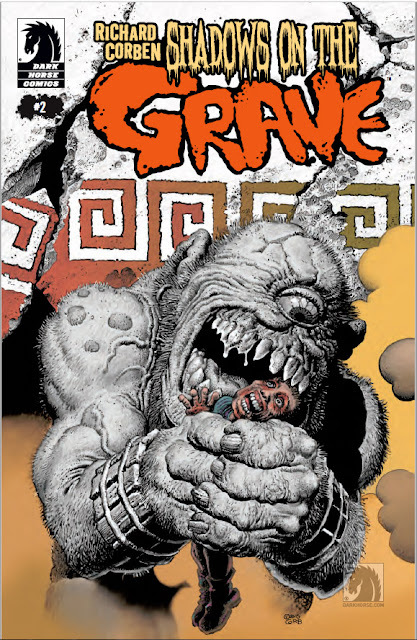 Of course, I'm a Corben fan from way back, so I bloody love this series. But even fans of old horror anthologies like Creepy and Eerie should check it out and see how an old master plies his trade. 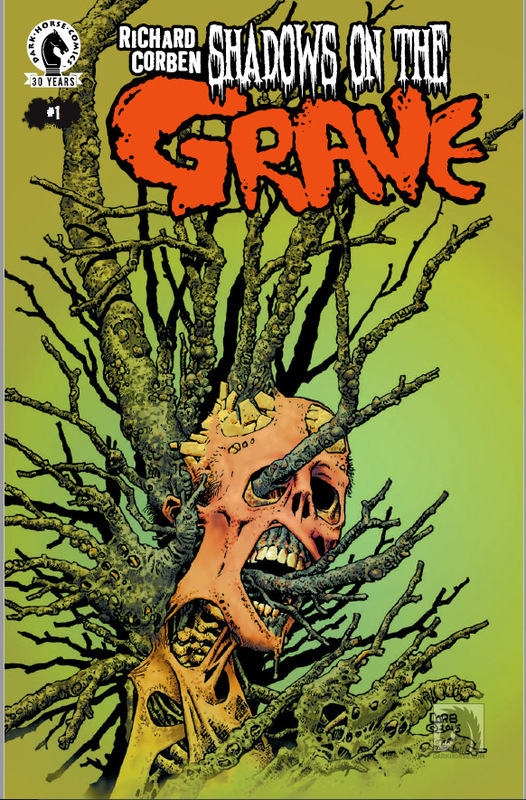 Shadows On The Grave #2 is published by Dark Horse and is on sale now. Issue one is still available, either in comic shops or online at Comixology.com.